According to a passport application filed in April 1902 Hans Christian Clausen (1850-1915) was born 2 May 1850 in Flensburg, Schleswig-Holstein, Germany. He emigrated on the S. S. Donau from Bremen, Germany, 8 Sept. 1883, and became a naturalized citizen of the U. S. 13 Oct. 1888. In Oct. 1888 Hans C. Clausen lived at 532 E. 16th St., Manhattan, and gave his occupation as "Machinist." At the time of the 1900 U. S. Census "Christian" Clausen lived at 522 Trinity Ave., the Bronx, and was identified as an "Iron Worker." Hans C. Clausen established H. C. Clausen Iron Works at 508-510 E. 74th St. approximately 1905. Earlier (from 1888/89) Clausen was in partnership with Anton W. Hoffmeyer (1857-1927) as Clausen & Hoffmeyer Iron Works. This ad for Clausen & Hoffmeyer dates from 1893 when the foundry was located on East 6th St. Clausen & Hoffmeyer moved to 508-510 E 74th St. approximately 1899. This ad for Clausen & Hoffmeyer appeared in Trow's 1899 New York City Directory. Hans C. Clausen seems to have retired by the time of the 1910 U. S. Census. He still lived at 522 Trinity Ave., the Bronx, but his occupation was recorded as "Own Income." From approximately 1916 to 1922 H. C. Clausen Iron Works moved to 433 E. 74th St., which was the home of the Yorkville Iron Works, Paul Kopitz, proprietor. In 1922 the successors to Hans C. Clausen formed a partnership with Ernest Bagge to form Clausen & Bagge Iron Works who were in business until the mid-1930s. Clausen's successors were two of his sons, August Ludwig Clausen (1878-1961) and William Friedrich Clausen (1888-1936). Ernest Bagge (1873-1966) was an immigrant from England. He was listed in New York city directories from around 1896 as a blacksmith and iron worker. Ernest Bagge & Co. were located at 155 E. 128th St. from 1902 through 1907. 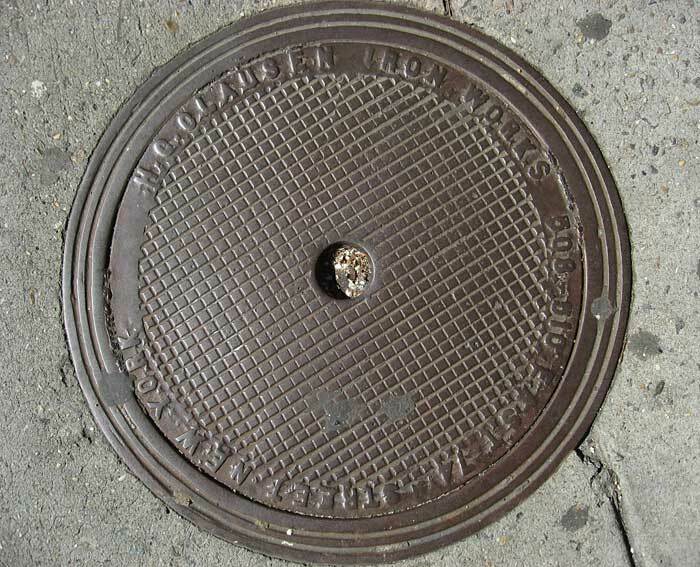 At the time of his registration for the World War I draft in 1918 Bagge worked for Davis Carpenter & Co., a manufacturer of vault lights at 216 E. 41st St. Clausen & Bagge were located at 285 E. 134th St., in the Mott Haven area of the Bronx, from 1922 to 1934. This ad for H. C. Clausen dates from 1909, and claims "Established 1888." In 1888 the company would have been Clausen & Hoffmeyer.